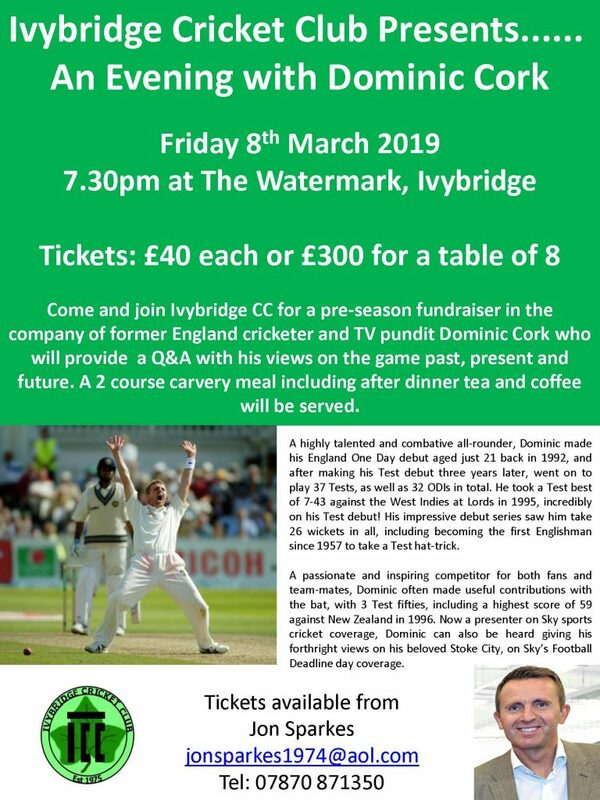 Come and join Ivybridge CC for a pre-season fundraiser in the company of former England cricketer and TV pundit Dominic Cork who will provide a Q&A with his views on the game past, present and future. A 2 course carvery meal including after dinner tea and coffee will be served. The evening will be happening on Friday 8th March at The Watermark in Ivybridge from 7:30pm. Tickets are £40 each or £300 for a table of 8, and are available from Jon Sparkes.